(work.) 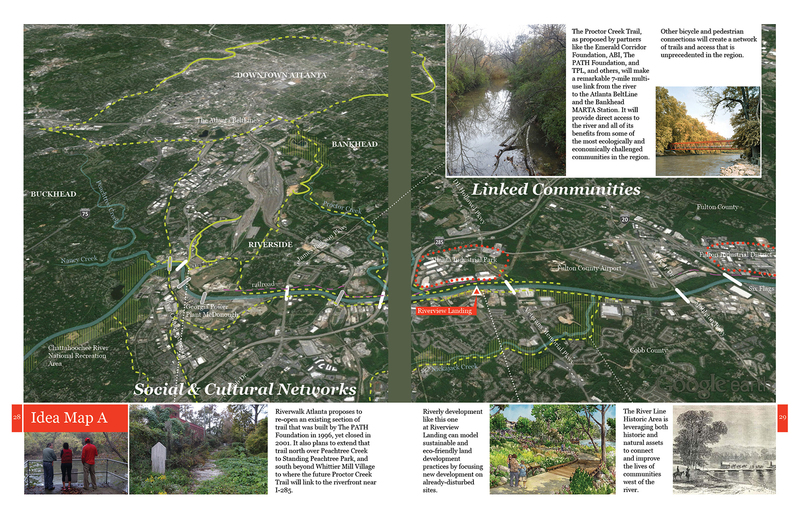 In early 2016, Sixpitch founder Ryan Gravel completed a collaborative effort with the staff and board at Chattahoochee NOW that culminated with “Vision53” – a document that outlines a framework of opportunity for the Chattahoochee River corridor from Peachtree Creek downstream to the Chattahoochee Bend State Park. 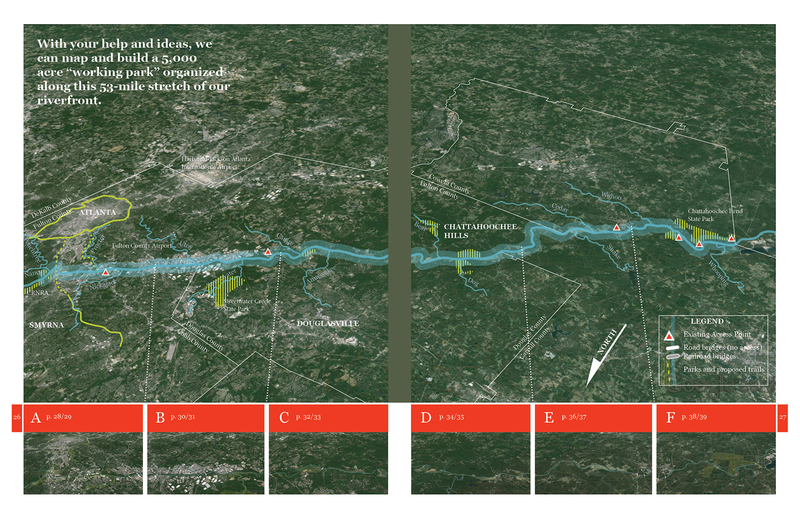 It’s charge – to put these 53 miles of riverfront on the map of metro Atlanta. In cities around the world, we find revitalizing waterways. Most are emerging as vibrant urban promenades. Atlanta’s opportunity, however, is hard to find. It’s there, it’s just different, and in many ways, it’s better. Chattahoochee NOW envisions “a corridor of sustainability, where recreation, preservation, community, and development are interconnected.” They work as partners alongside groups like the Chattahoochee Riverkeeper, Trust for Public Land, and National Park Service, who have been working for decades to improve the river’s life. Atlanta’s riverfront is expansive. It’s distance from the center city means there is room for wildness and adventure. Vision53 creates a framework for “a 5,000 acre “working park” that is organized along the banks of the river and comprised of a protected and interconnected new network of farms, forests, parks, and nature preserves.” Undaunted by such an ambitious proposal, Vision53 focuses on short-term tactics to get us there, providing an inspiring launching pad for the future work that will be required to pull it off. Sixpitch worked collaboratively with the client in the delivery of this vision, engaging in research, fieldwork, analysis, and illustration, and leading meetings, presentations, and consensus-building efforts with project partners. This 53-mile section flows through the central and western part of metropolitan Atlanta. 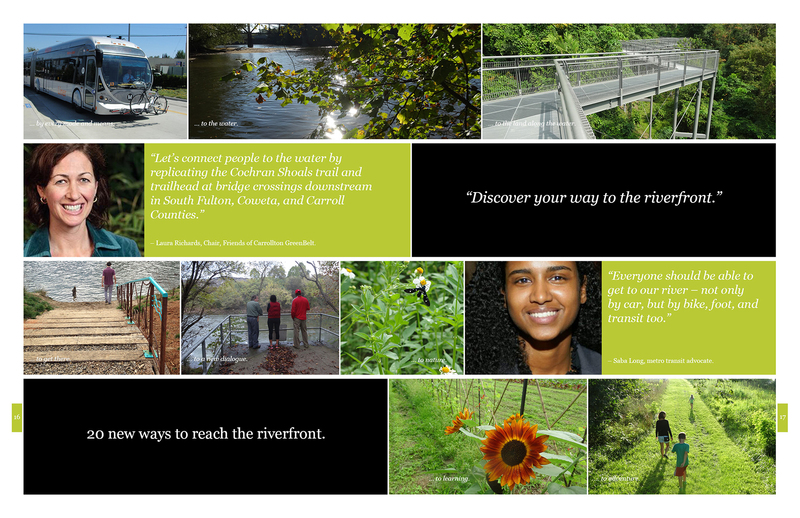 The final report, “Discover Your Hidden Riverfront,” can be found on the organization’s website. Next City: “Atlanta’s Waterfront Access May Soon Improve.” October 2016. 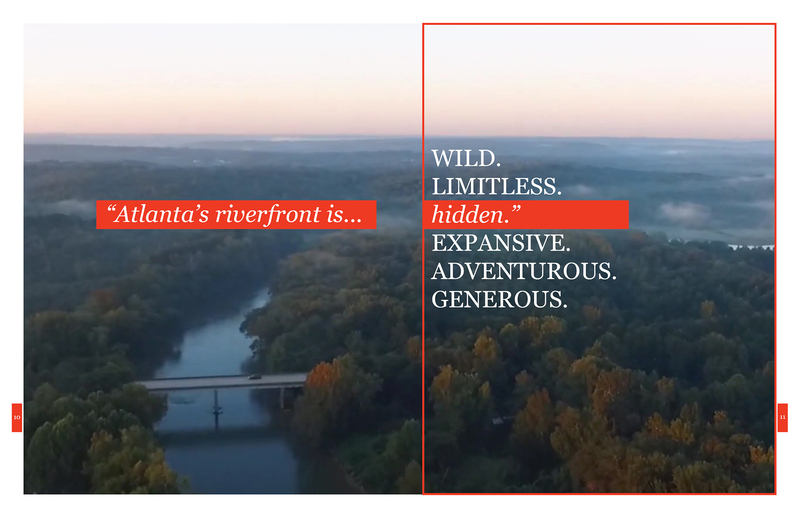 Curbed Atlanta: “Turning the Chattahoochee River into Atlanta’s greatest amenity.” October 2016. WABE: “Forgot Atlanta Has A River? One Group Wants To Change That.” October 2016.